We have a highly tech-enthusiastic team of Backend developers who will look after your requirements and constantly engage in research and development. We are extremely flexible in the way we handle our clients and their business needs. You can approach us for any type of backend development needs, regardless of your niche industry. We assure you highly robust development services and exceptional support. We are one of the few consulting companies that specialise in Golang Language. Why Golang? Golang is a modern-day portable programming language with the key feature of concurrency and cross-platform support along with vast built-in libraries. It has gained immense popularity for its fast compilation and execution. Golang developers at Fstack possess extensive knowledge of programming paradigms and idioms, that helps them comeup with the best possible solutions. Python is popular among start-ups as well as enterprise businesses worldwide. It is a powerful, flexible and dynamic scripting programming language. At Fstack, Python developers not only work on challenging problems, but also offer solutions for seamless integration with other codes and APIs. On-time delivery of project solutions and excellent tech support is what we are known for. Docker, a computer program, provides open platforms to deploy and execute an application in an isolated environment called container. It can run on any computer, on any infrastructure, and in any cloud. The Docker experts at Fstack help you customize and integrate Docker to meet your deployment needs. We use SQL and noSQL databases as per the need and scope of the project. SQL databases like MySQL and Postgres have structured data with powerful query language. They are vertically scalable with good support and wide acceptance. noSQL databases like MongoDB and Cassandra have unstructured data format without any schema. They are horizontally scalable with an increasing popularity due to the ease of use. AWS provides on-demand, reliable cloud platform for individuals and organizations. It provides services like data storage, database services, data management, development tools, application services, and cloud security. Our experts will help you integrate database & cloud services as per your need, considering the scalability and cost-effectiveness. 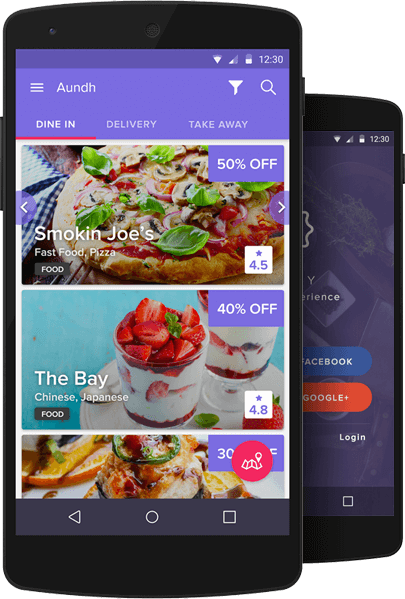 Ressy is a great tool that lets restaurants manage capacity and push deals to customers in real time. 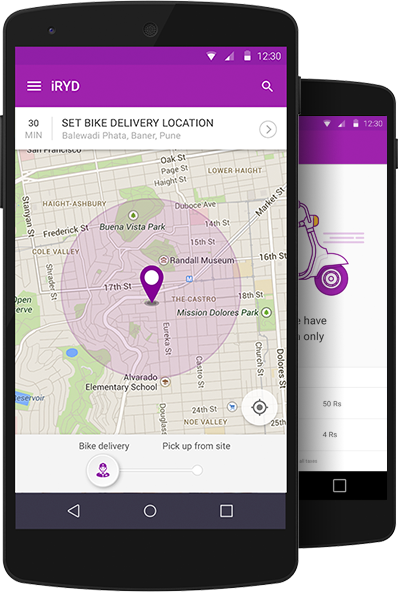 We designed and built the complete back-end and Android applications for this app. iRYD is anon-demand two-wheeler rental service that allows you to rent a motor bike with just a few clicks and have it delivered to your doorstep. We built the entire system for them,starting with the app design, development and backend system. 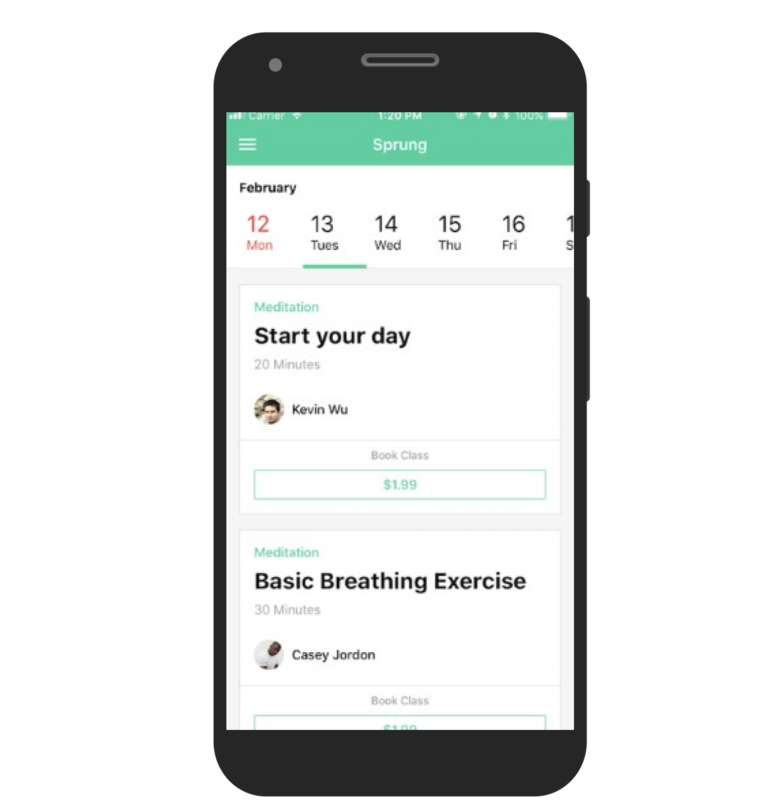 Sprung provides a platform for guided, real-time, interactive and personalized mind wellness solutions for the employees in an organization. We built the complete back-end and the Android application.